Since its inception 30 years ago, San Diego’s venerable EarthFair has always been a volunteer-driven effort. But last fall, as planning for this year’s milestone extravaganza in honor of Earth Day got underway, organizers behind it sent out an urgent call for the volunteer community to step up their efforts to even greater heights as funding constraints became obvious. Midway through 2018, city officials informed EarthFair organizers an art and culture grant was being reduced. “The EarthFair is really a one-year-at-a-time situation,” said Carolyn Chase, co-founder of the San Diego EarthWorks organization, which oversees EarthFair. But the push late last year for contributions gave enough of a boost to ensure EarthFair 2019 will indeed go on to celebrate the three-decade mark. 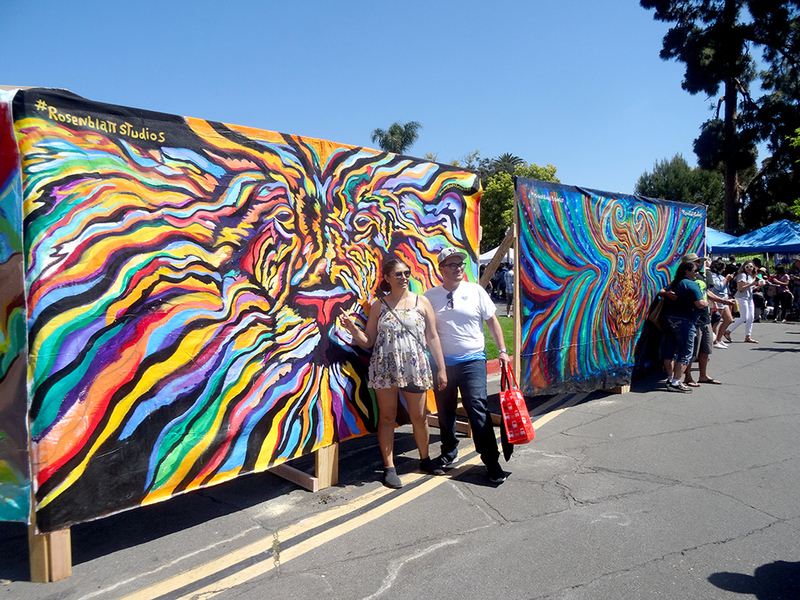 This year’s festivities, which will include more than 300 exhibitors, will again take place at Balboa Park on Sunday, April 28. “We’re definitely going to make it this year,” Chase said of procuring the funds needed to bring the event to life. Specifics are still in flux as the countdown to the big day continues, but with less than a month to go, Chase said the estimated 60,000 visitors attending the free event will be treated to a number of new exhibits. Some of the new exhibitors include Energy Upgrade California. Representatives with the statewide initiative will be on hand to discuss the state’s different energy goals — including doubling energy efficiency, moving one-third of the power grid to renewables and cutting greenhouse gas emissions to levels recorded in the 1990s. The growing concern about the number of plastic-based materials polluting waterways will also be on prominent display at EarthFair 2019, Chase said. Ocean-related conservation also will also be a focal point, with representatives from such organizations as Oceana and the Pacific Marine Mammal Center on hand. Another new exhibitor this year is Bye Bye Mattress. Ohio-based Mattress Recycling Council spearheads the program, which is the outgrowth of state legislation passed in 2016, requiring the mattress industry recycle the bulky bedding accessory. “The Bye Bye Mattress program is funded by a recycling fee collected on each mattress and box spring sold in California,” Amanda Wall, a spokeswoman with the council, said in an email interview. Locally, Wall said the council has forged a number of partnerships with the city’s elected officials and other organizations in the hopes unwanted mattresses can be discarded for recycling with relative ease. Details on events tailored around drop-off sites will be shared with visitors of EarthFair, as will information on how the program works. As EarthFair heads into a milestone year, Chase said she waxes nostalgic about the event’s past, present and hopeful future. When the first EarthFair was held in 1990, the concept of Earth Day and environmental stewardship was just getting a foothold in the broader culture. Back then, Chase said eating organic produce — even in a state as progressive as California — was considered more of a novelty, as was the concept of a plant-based diet, relying on solar energy and the zero-waste movement. EarthFair has evolved, Chase said, but one important lifeblood — the volunteers — remains as true today as ever. In prior years, Chase said 300 to 350 volunteers pitched in to ensure the event would go on without a hitch. 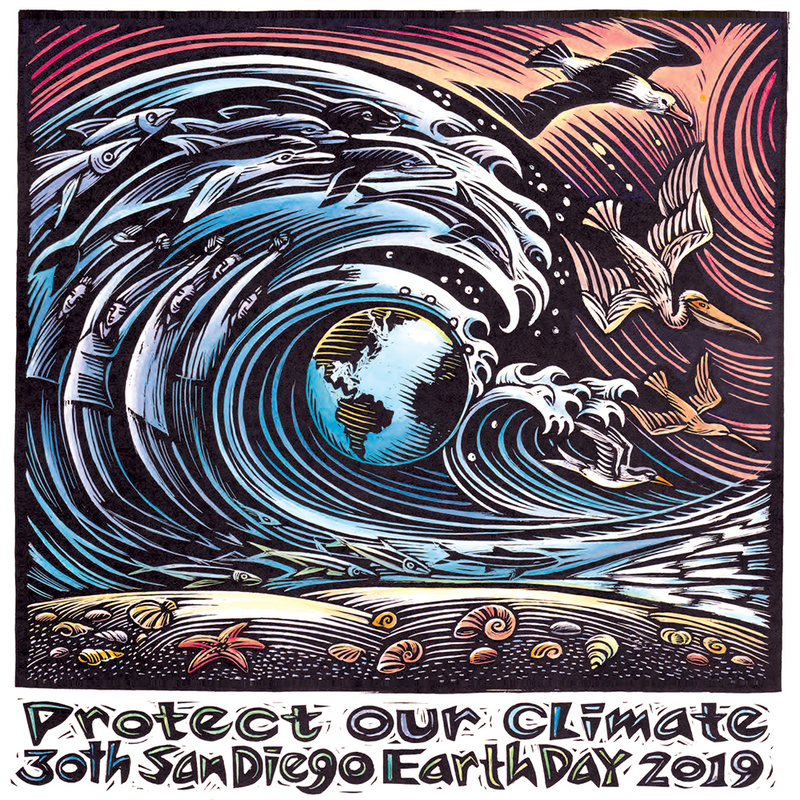 EarthFair 2019 will be held from 10 a.m. to 5 p.m. Sunday, April 29, at Balboa Park. For information, visit earthdayweb.org. — Dave Fidlin is a freelance journalist with a special affinity for San Diego and its people. Contact him at dave.fidlin@thinkpost.net.